Cleanliness is next to godliness. The great George Bernard Shaw, once said 'Better keep yourself clean and bright; you are the window through which you must see the world.' Cleanliness depicts order and harmony. The father of the nation, Mahatma Gandhi among his many narratives on the subject, once famously said, “A lavatory must be as clean as a drawing-room”. The honourable Prime Minister of India, Sri Narendra Modi launched the Swachh Bharat Abhiyan to realise the dream of Mahatma Gandhi for a clean India. 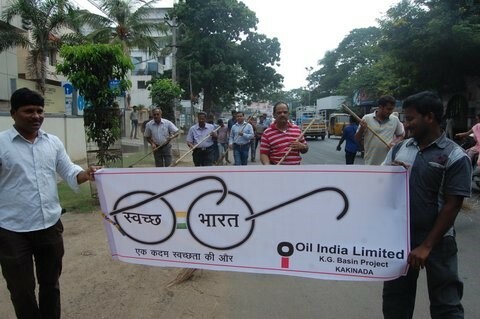 In line, with the Prime Minister’s vision, Oil India Limited has undertaken the implementation of the Swachh Bharat Abhiyan of the Government of India, in full fervour and zeal, through a number of activities and projects. 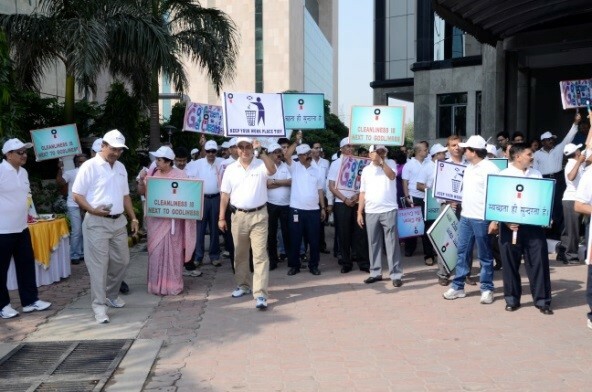 Employees of OIL’s Corporate Office in NOIDA participated in a Walkathon under the “Swachh Bharat Abhiyan” initiative of Oil India Limited, to spread awareness about the cause, on OIL’s 56th Foundation Day (18th February, 2015). 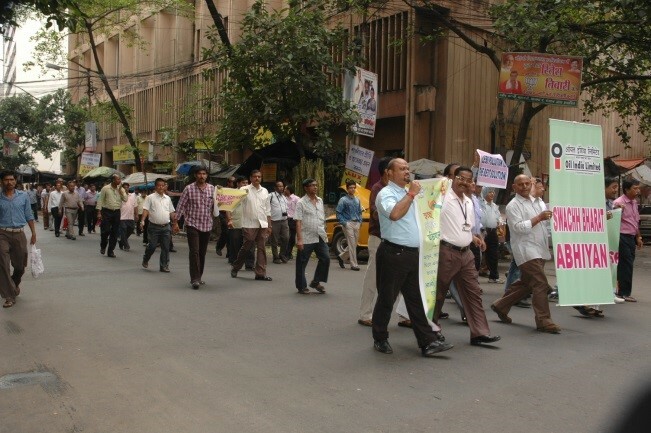 Similar Walkathons were carried out in the Fields Headquarters of the Company in Duliajan and in other spheres. Sri S.K. 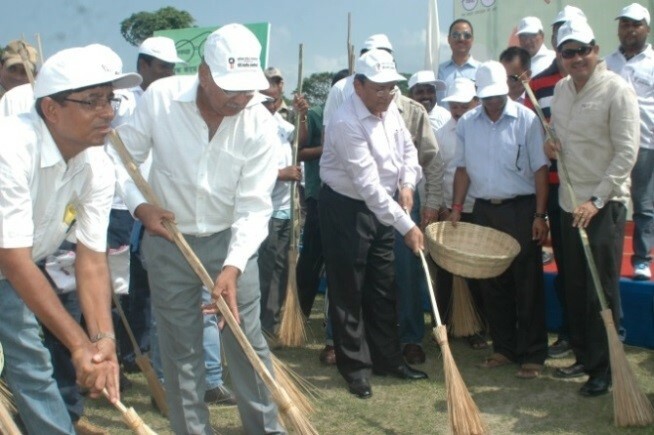 Srivastava, Chairman and Managing Director, OIL, led the campaign in the organisation from the front, by flagging off the Cleanliness Drive, Walkathons, administering the Swachh Bharat pledge to a gathering of around 2000 people (including employees) at the Nehru Maidan at Duliajan, Assam, the Fields’ Headquarters of the company on 2nd October, 2014. 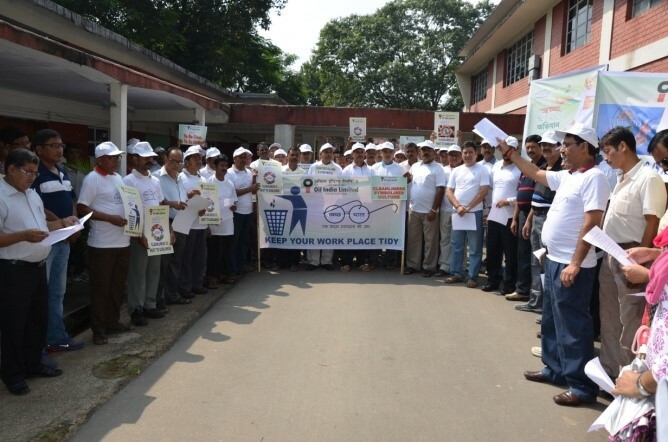 The company has undertaken activities such as holding cleanliness drives in and around its offices, awareness marches & walkathons, Swachh Bharat Pledge (on 2nd October), etc. in all its offices and spheres in the country, namely Rajasthan, KG basin project in Andhra Pradesh, Kolkata, and Corporate office at NOIDA. 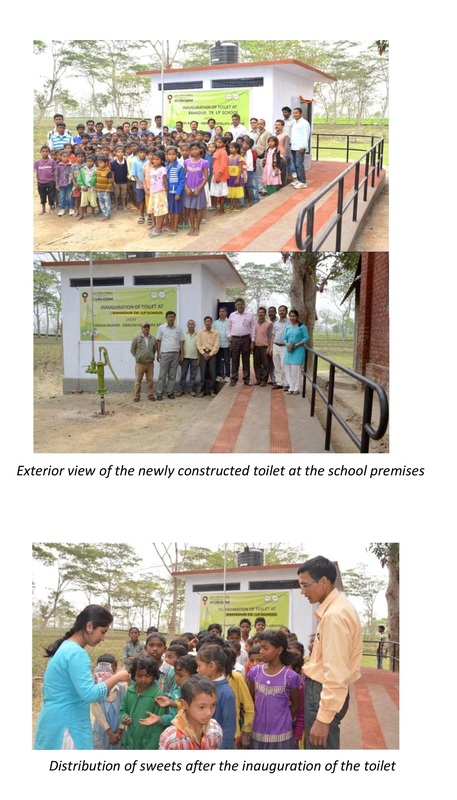 As part of the Swachh Vidyalaya programme under Swachh Bharat, OIL has taken up the project of construction of toilets in over 600 government schools in the OIL operational districts of Dibrugarh and Tinsukia in Assam. Sri S.K. 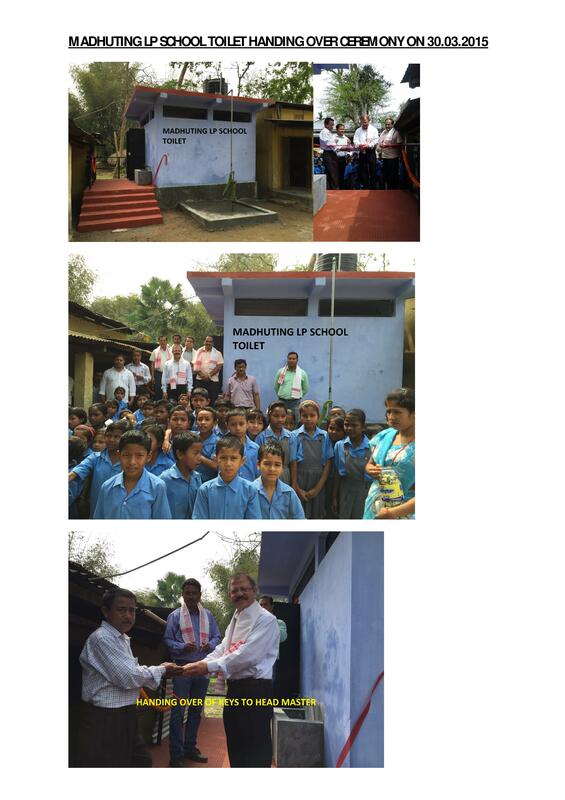 Srivastava, laid the foundation stone in the Senairam High school, in the Tinsukia district. 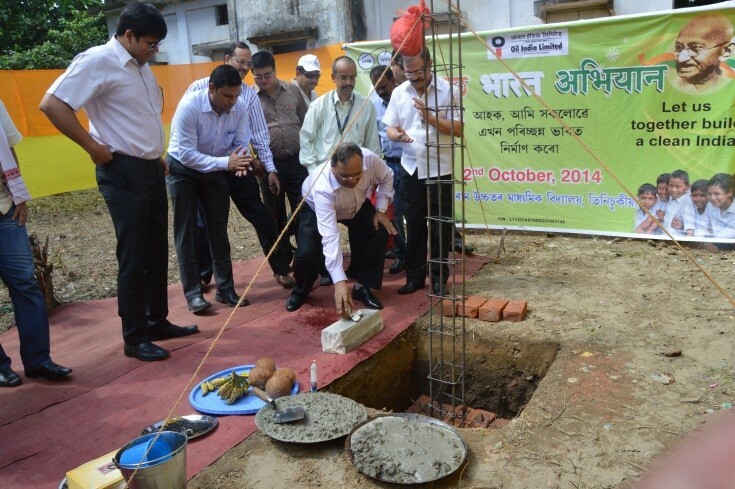 Similarly, senior officials of the company laid the foundation stone in several schools in Dibrugarh and Tinsukia districts of Assam. 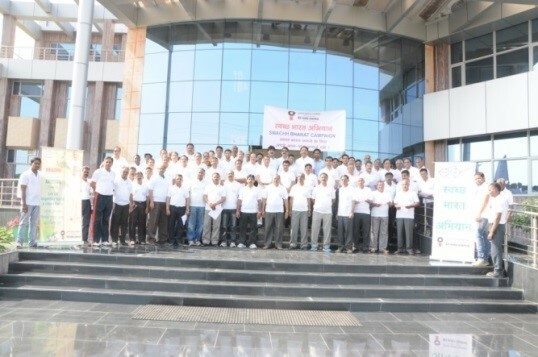 In addition, the company has formulated a five year plan on the Swachh Bharat Abhiyan under its Corporate Social Responsibility. Amongst others, the plan includes awareness generation on sanitation in schools, supplementing the waste/garbage management systems of villages and towns, providing dustbins for garbage collection in OIL operational districts, etc. 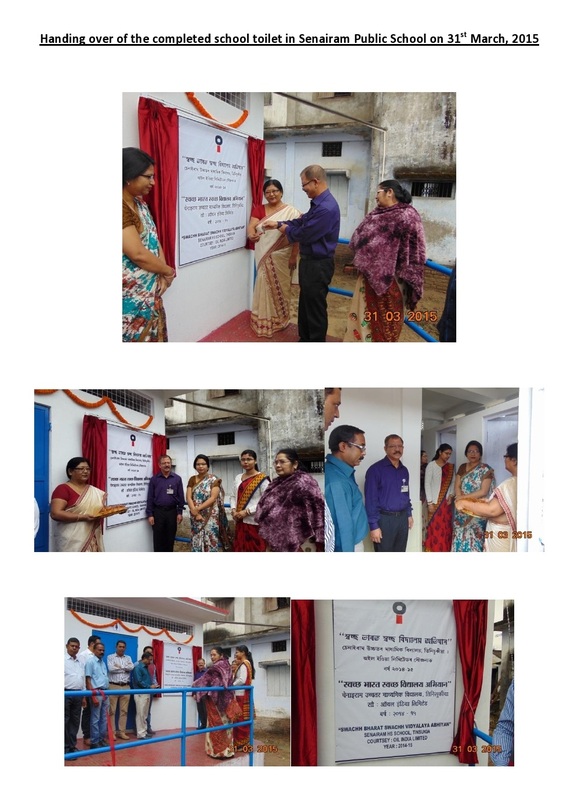 Additionally, the company has planned construction of separate toilets/bathrooms for men and women in villages in operational areas in the state of Rajasthan, which presently do not have such sanitation facilities. 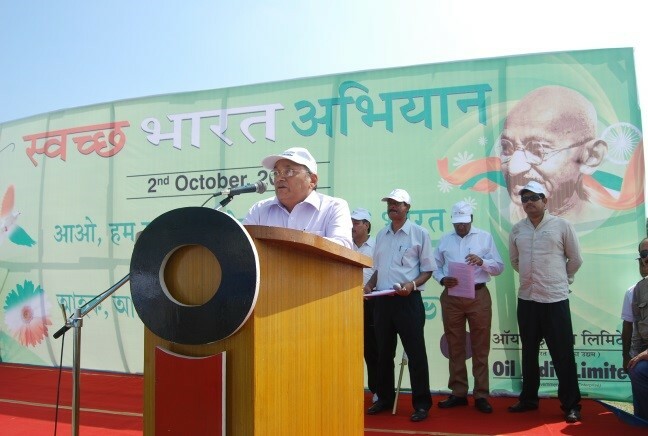 Through its actions under the Swachh Bharat programme, the company is committed to making a difference in the overarching dream of achieving a clean India in the times to come and helping realise Mahatma’s grand vision for this nation.